AS9100D was released September 20, 2016. This version includes requirements for configuration management, risk management, special requirements, critical items, on-time delivery, project management, supplier scope of approval and others. Prepare for AS9101D process-focused and performance-based audit requirements coming June 15, 2017 with the OmniSMS management system. 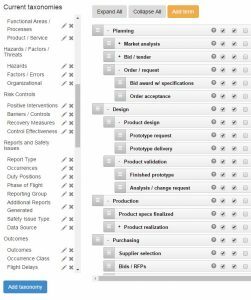 Configure OmniSMS to support your unique functional areas and processes with admin-defined taxonomies and heirarchies of terms. Then align functional areas with your organizational structure and create custom groups for email notifications, memos and more. It’s all configurable in OmniSMS. Data collection is grouped by functional area, and process deficiencies identified. Preventive and corrective actions are then applied to address the root causes of performance problems. Key performance indicators can be set for both safety and quality measurements. 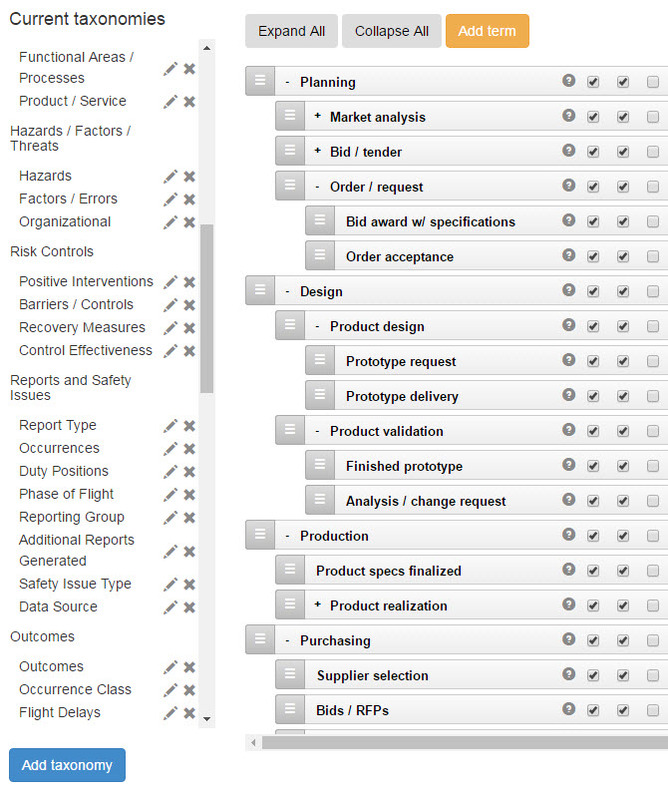 For example, set KPIs for damage or defects by location, division, or other variable. When an online defect report is received by the system, KPIs automatically update and responsible managers in user-defined custom groups are notified via email. For system analysis and management of change, proactive RA permits multi-dimensional assessments of People, Assets, Reputation, and Environment. After analysis and assessment, OmniSMS’ user-friendly workflow continues with branched investigations, identification of contributing and causal factors (root causes), recommendations for improvement, preventive / corrective actions, CAP acceptance, monitoring, and follow-up. Tasks display on users’ calendars, and auto-email alerts assure nothing is overlooked. All taxonomies within OmniSMS are admin-defined to align the system with your defined processes. Taxonomies that do not apply to your operations are easily hidden.